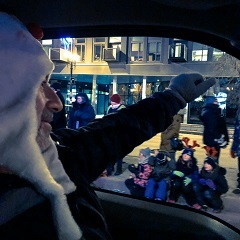 It’s was a cold and windy day in Winnipeg, but that never stops the love of families coming out to take in the Santa Claus Parade and all its wonders. This year in 2018 was a very special event that almost didn’t take place. Funding was low, and the Santa float needed huge repairs, otherwise, the parade would be canceled. Several sponsors stepped up to the ice-cold plate and donated enough to keep Santa’s float and the parade moving forward. 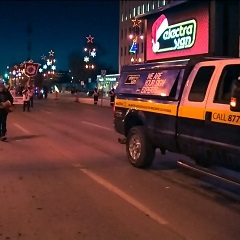 Electra Sign was pleased to answer a unique call from the Parade organizers to drive Manitoba’s only Mobile LED Messaging Truck displaying the names of all sponsors and thanking them for making this happen.